Why is a student not listed in the School Browser? 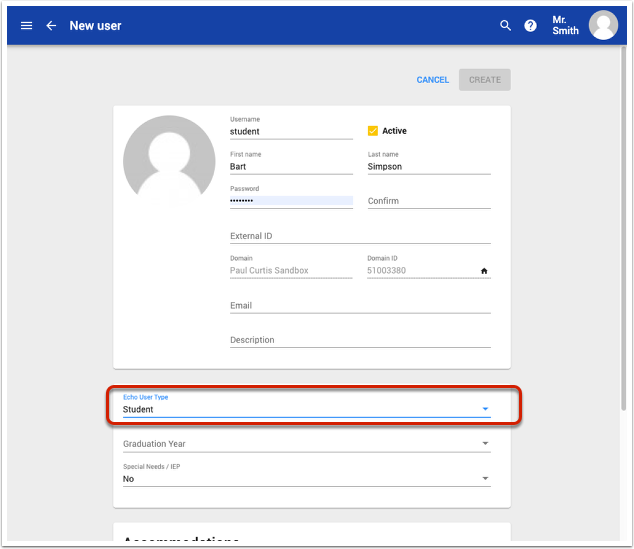 In order to filter out staff and parent accounts from being listed in the School Browser, users must be identified as a "Student" in the Echo User Type field. Student accounts that were created without this identification will not be displayed in the School Browser. If there are large numbers of accounts that need to be updated, you can export a list of users into a .csv file and use Echo's bulk update feature to import the user type designation.